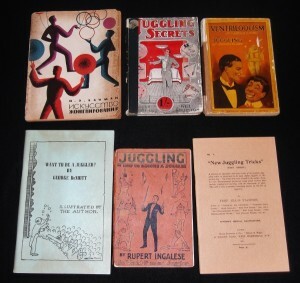 There have been hundreds of books written about juggling. 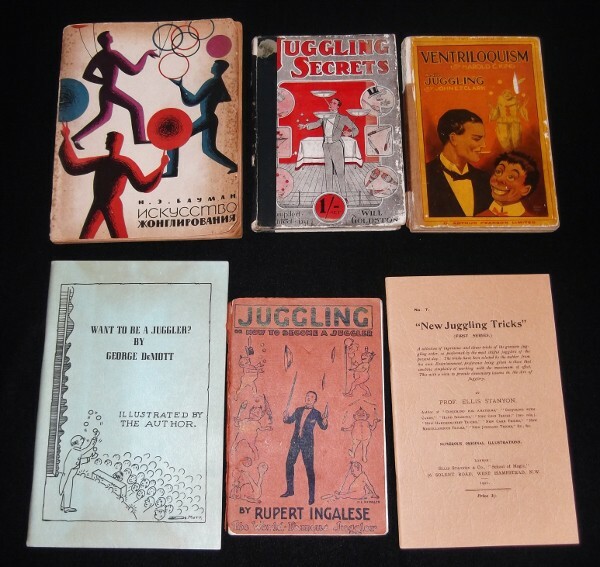 I have about 70 juggling books in my library, while jugglers such as Hovey Burgess, Paul Bachman, Erik Aberg, and Hermann Sagemuller have larger collections. 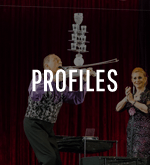 While this is a tiny fraction of the number of books authored about illusion and magic, it’s still more than the average non-juggler might think. 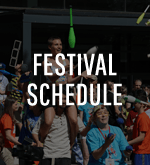 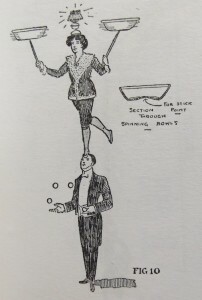 The three major categories of juggling books are instructional books, historical / biographical books, and routine books (comedy, messages, patter, performance tips). 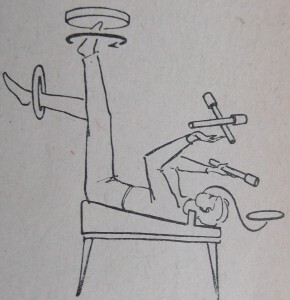 Some books include some cross over among these categories, but most fit primarily into just one of those genres. 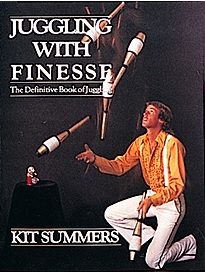 One well known book that spans all three is Juggling With Finesse by Kit Summers. 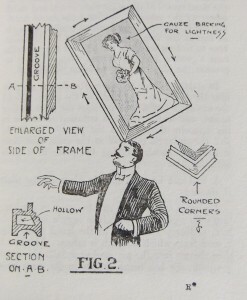 It’s an instructional book with a huge number of amazing historical pictures and some history related text. It also has a small section on performing and comedy. 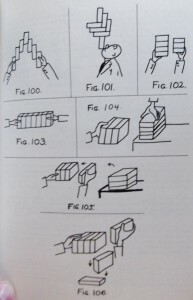 First published in 1987, this book is still available today and isn’t considered rare. 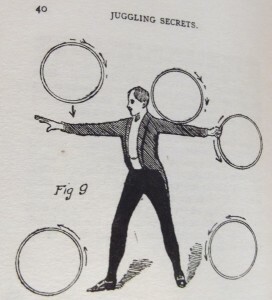 There are, however, many books on juggling that are quite scarce. In this article, I’ll examine some instructional books from the past. 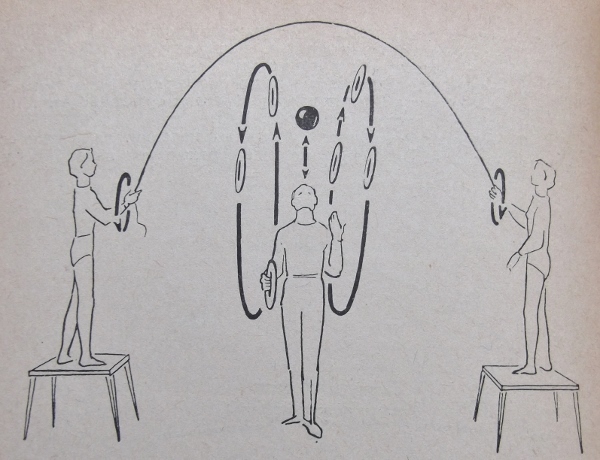 Nikolai E. Bauman was a well known Russian juggler who graduated from the Moscow School of Circus and Variety Arts in 1930. 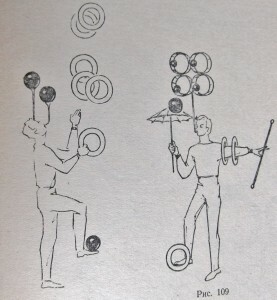 Paired with fellow juggler P. Solotow, they created many amazing tricks, including Bauman juggling three clubs and Solotow passing him two more from behind with Nikolai going straight into a five club cascade and the pair doing a head to head balance and passing six clubs to each other in this position. 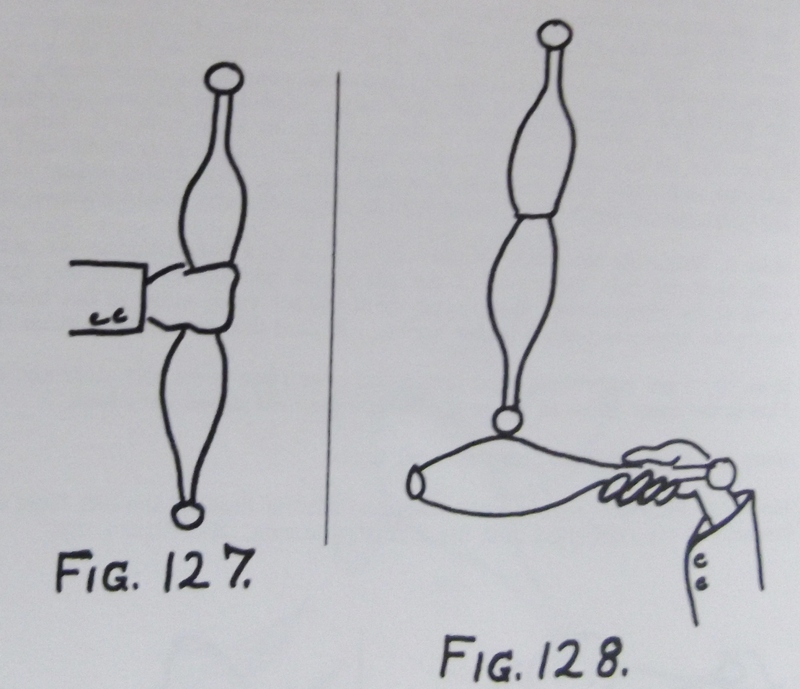 They also did the tricks shown in the following two drawings. 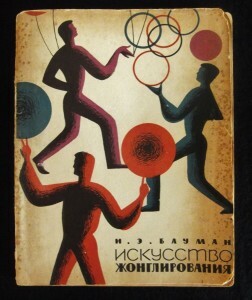 Bauman became a professor at the Moscow School of Circus and Variety Arts in 1947. 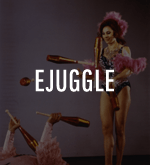 In 1962, he published his juggling textbook, the Art Of Juggling. The book is 125 pages in length and contains 169 drawings, included the ones above and the ones included in this section of the article. 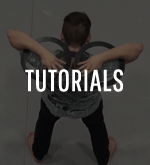 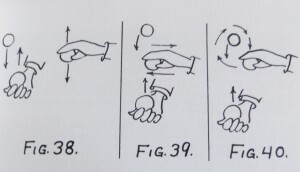 While many of the drawings depict standard solo toss juggling with balls, rings, and clubs and many club passing formations, many less common tricks are included as well. 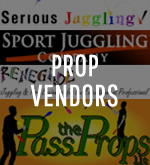 I’ve included many of these to display here. 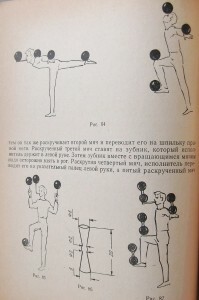 While I recognize tricks by Jenny Jaeger (the staff with balls on the end), Enrico Rastelli (3 sticks while laying down and spinning a plate on a mouthstick, ring on an ankle, and disk on his foot), and Boris Jewgrafow (6 rings while heading a ball and jumping rope), the book doesn’t include any names of the jugglers associated with the skills depicted. 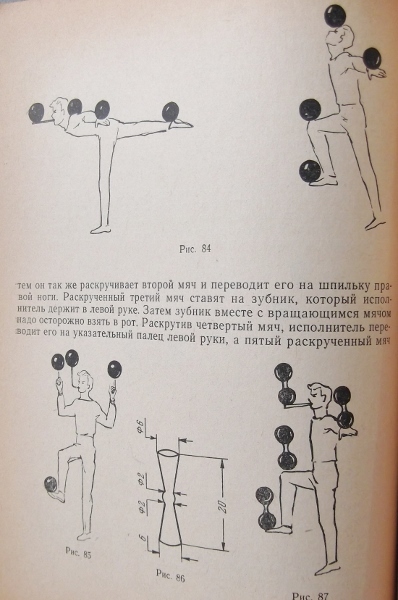 Since I can’t read the Cyrillic alphabet or Russian at all, juggler Gary Varney was kind enough to read through the book and confirm this. 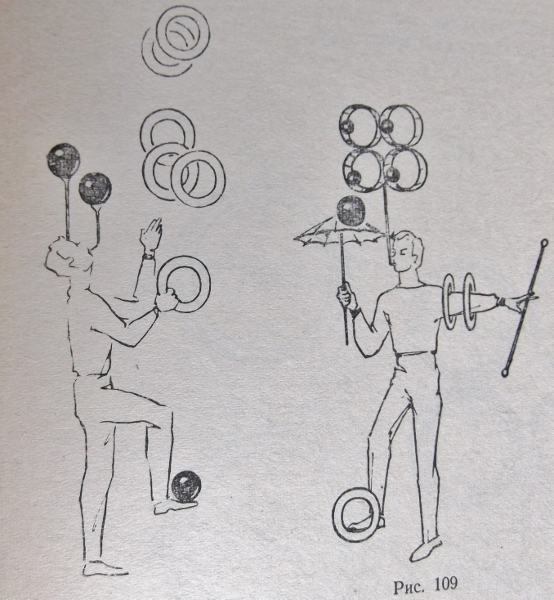 The Art Of Juggling has been translated into German, but this version is missing some parts of the book. 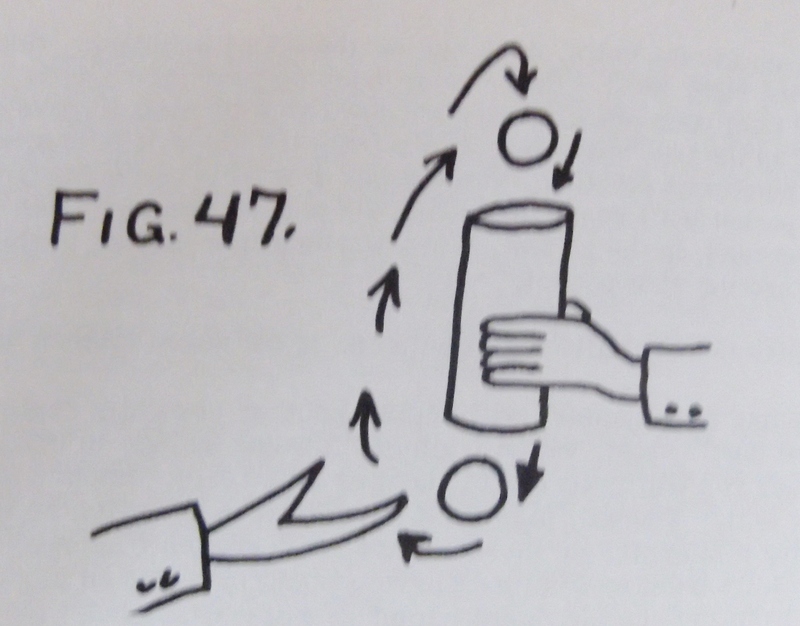 A small portion of the book has been translated into English and can be seen in the back of Karl-Heinz Ziethen’s 4,000 Years Of Juggling, Volume 2 as well as in two IJA Bulletins from 1977, which can be viewed here and here. I was fortunate to buy my copy of the book on ebay for a reasonable price, but it is quite rare. 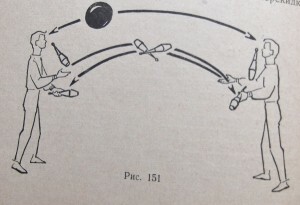 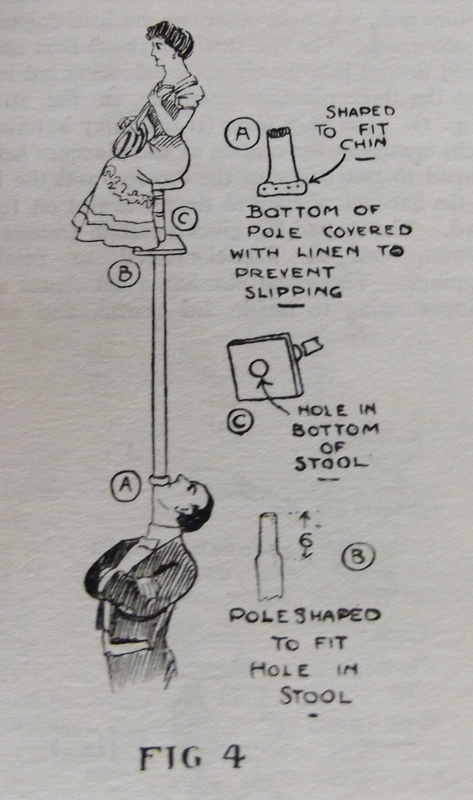 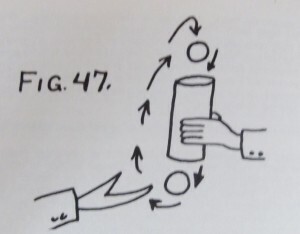 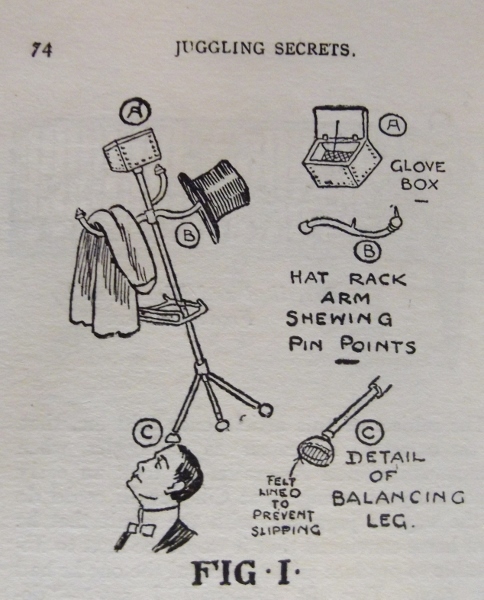 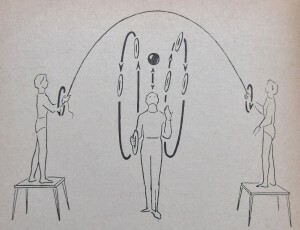 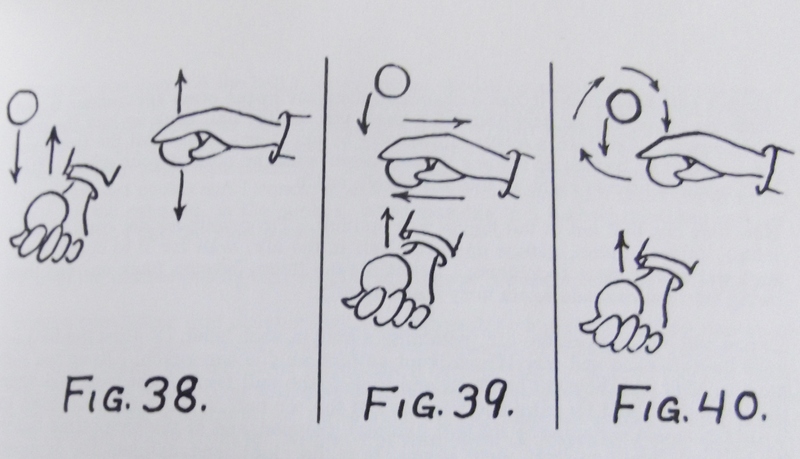 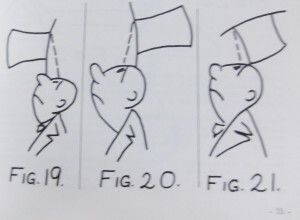 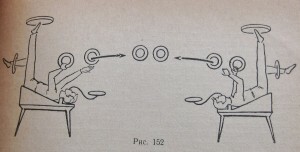 Many of the oldest instructional juggling books contain a plethora of directions for performing gimmicked tricks as well as an odd assortment of non-toss juggling tricks. 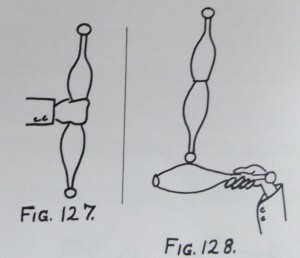 The next book is filled with these. 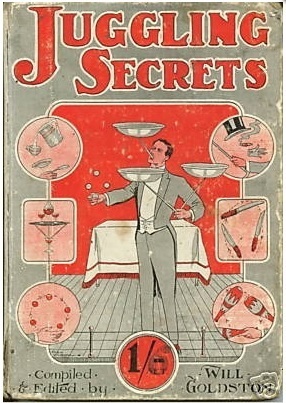 It is Juggling Secrets by Will Goldston, which was published in 1911 in by G. Routledge and Sons of London. Juggling Secrets contains 96 pages of instruction and one page advertising “Juggling Requisites” for sale. 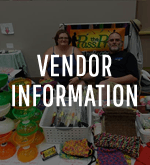 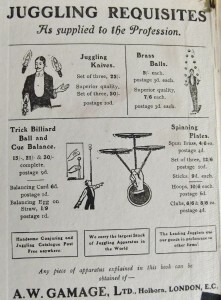 These include juggling knives, brass balls, trick billiard ball and cue balance props, and brass spinning plates, all sold by A.W. 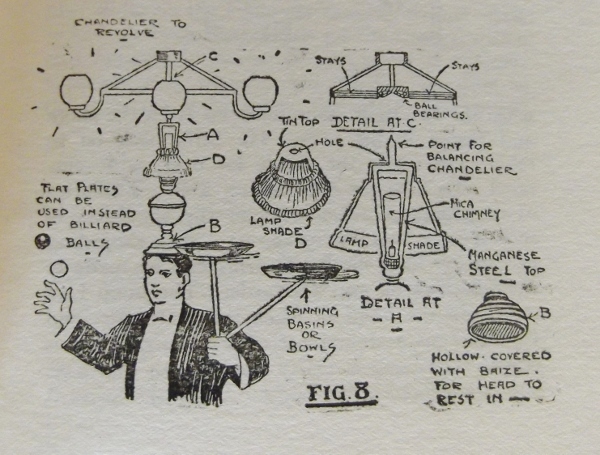 Gamage, Ltd. of London. 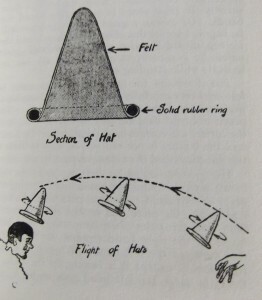 The book begins with toss juggling with balls and knives, stick balancing, and the art of catching tossed hats on your head. 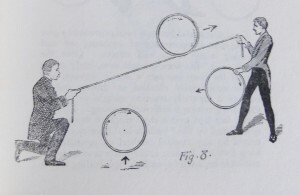 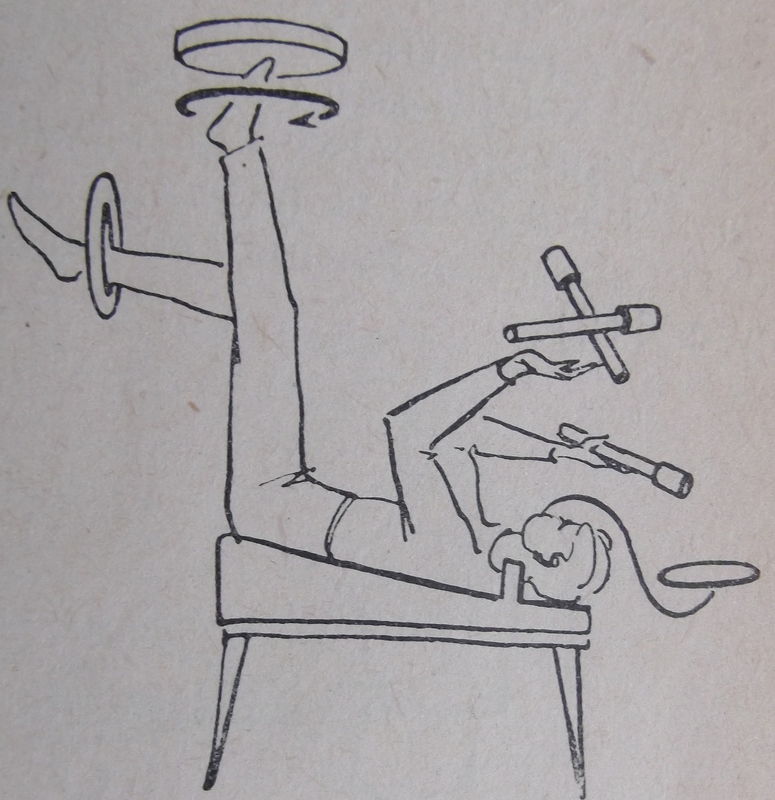 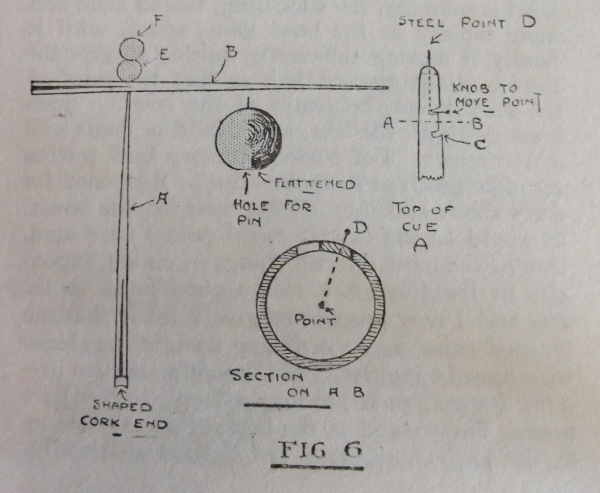 Then chapters on plate manipulation and hoop rolling, which are quite unique, are presented. 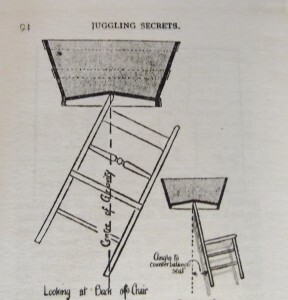 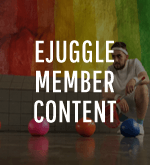 The next chapters, Mechanical Juggling and Juggling Simplified, include 10 gimmicked tricks as well as directions on doing the famous picture frame slide balance, plate spinning, and chair juggling. 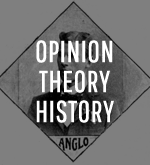 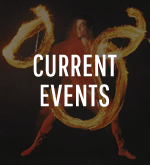 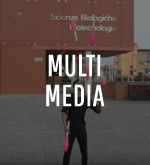 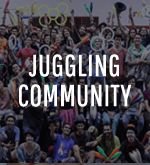 The next chapter describes the act of Australian juggler Fred Velasco. 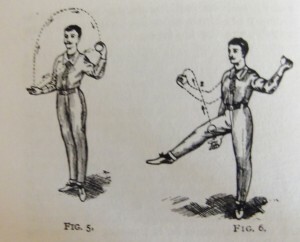 Velasco had seen Cinquevalli when the legend had visited Australia and he decided to pursue juggling as a career. 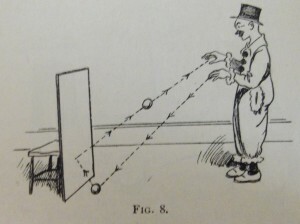 The act that he developed included a variety of interesting balance tricks, including four that involved balancing another human as part of the trick, as well as plate spinning, chair juggling, and a balance trick that involved catching balls in nets and a lit candle in a candlestick which were attached to a balanced pole. 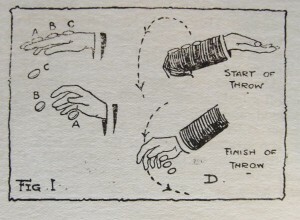 The final chapter includes some random tricks including what is now known as Cobra Coin Catching with three coins. 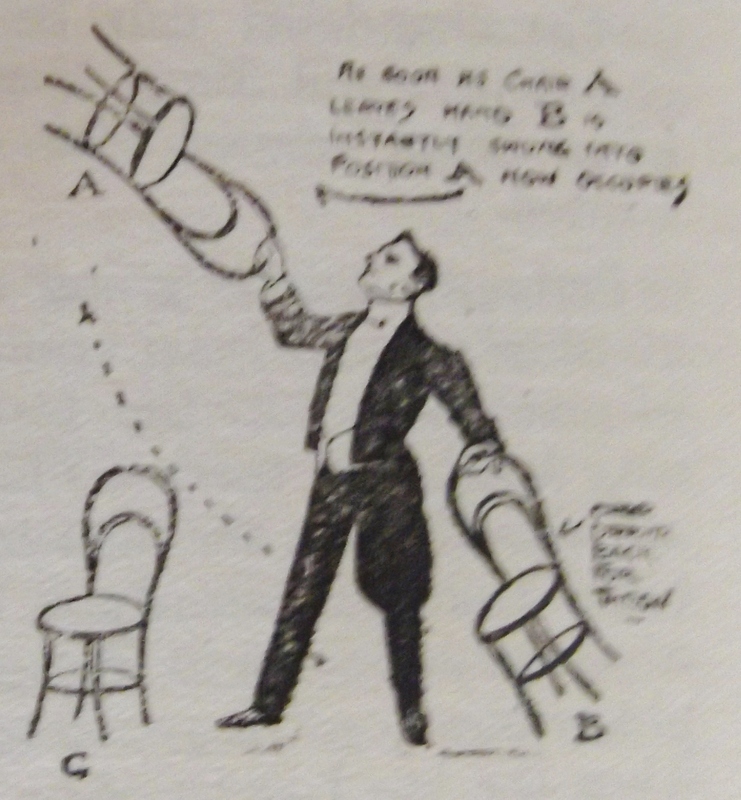 I was previously unaware that this trick was so old, even though I currently hold the world record for doing this trick with five coins. 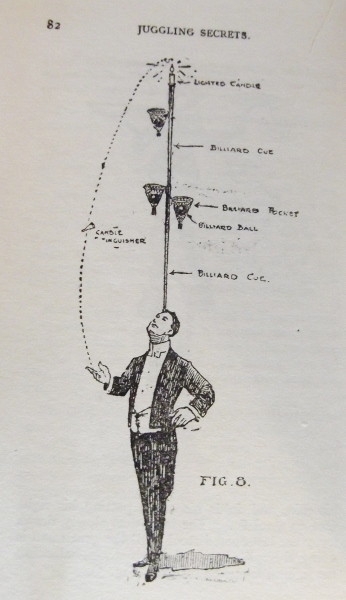 Other tricks in this final chapter include kicking coins to a monocle, a few club moves, and a gimmicked balance of an egg on the end of a straw. This old and rare book is quite interesting for a variety of reasons, including the unique chapter on hoop rolling and the description of the picture frame slide trick. 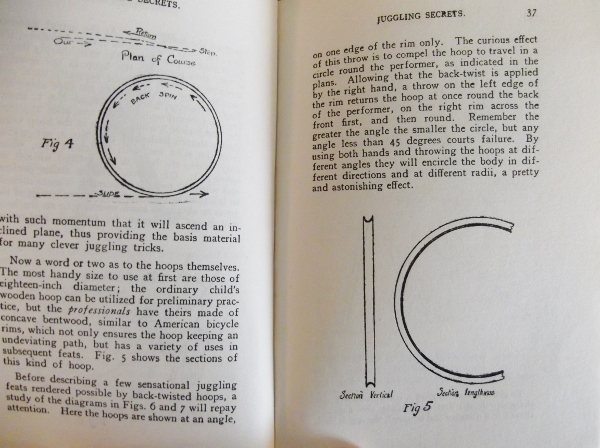 This book, published in 1921 by C. Arthur Pearson of London, is actually two books, written by two separate authors about two different subjects, in one volume. The juggling half, written by Clark, is only 25 pages. 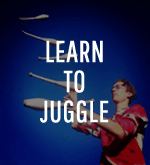 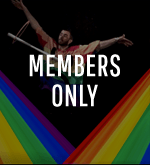 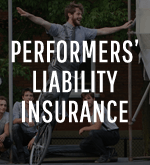 It includes tips on performing, basic ball and ring juggling, hat and cane juggling, balancing tricks, and a few gimmicked tricks. 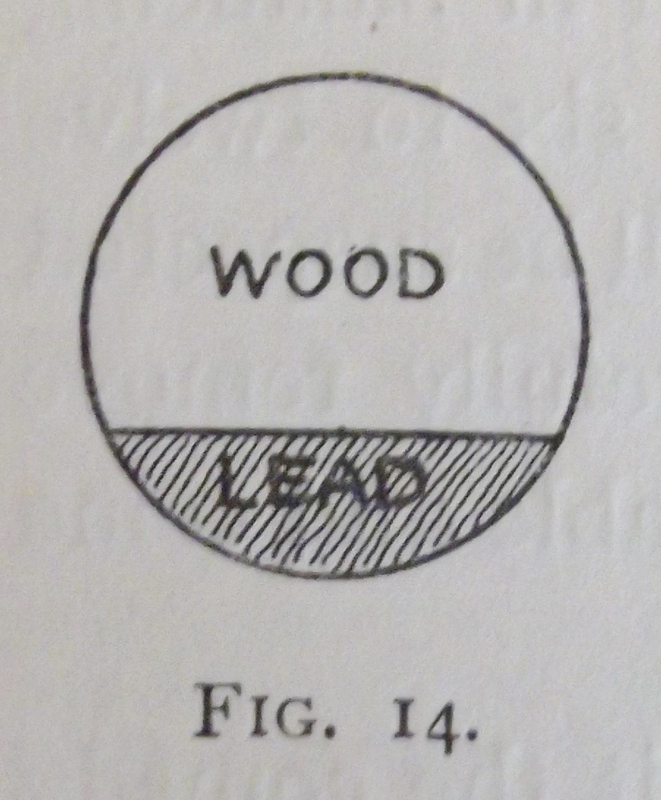 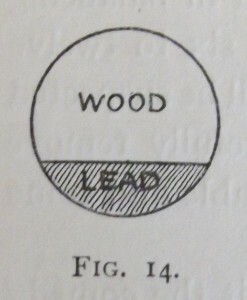 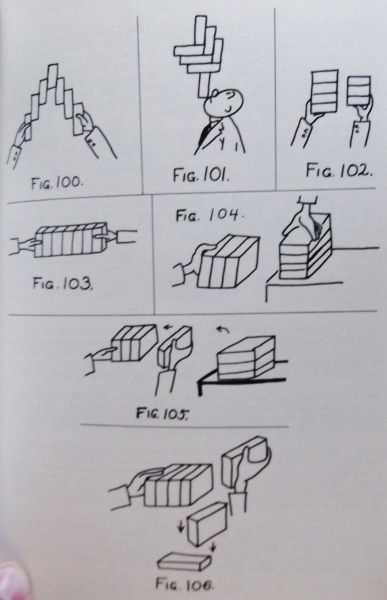 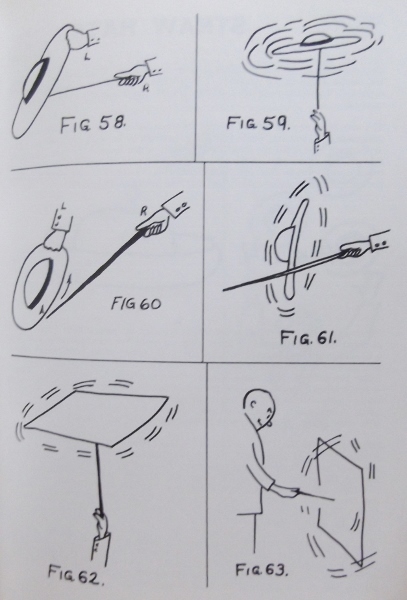 Below are some drawings from the book. 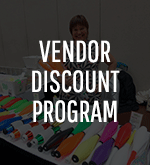 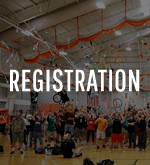 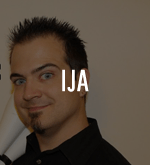 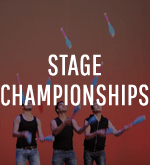 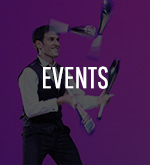 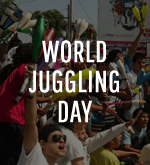 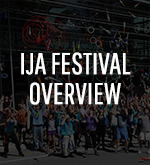 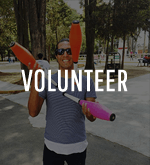 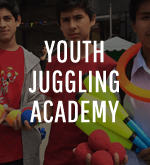 Want To Be A Juggler? 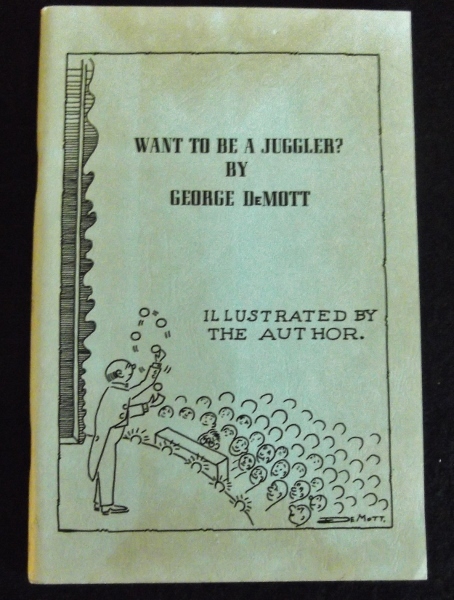 by George DeMott was published in 1962 by Roger Montandon Magic of Bixby, Oklahoma (USA). 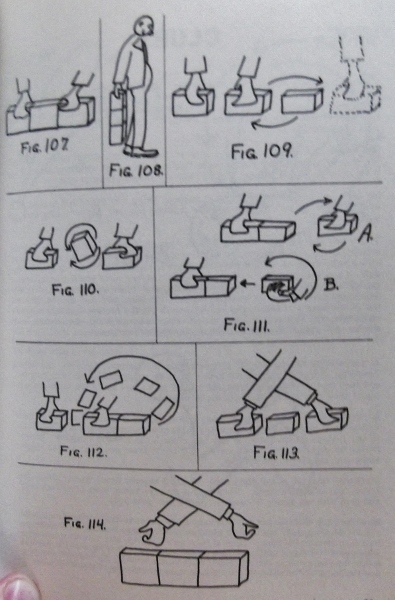 This 81 page book contains 134 drawings as well as 7 photos. 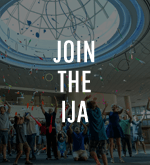 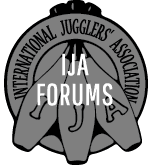 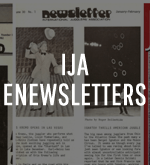 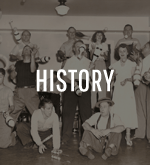 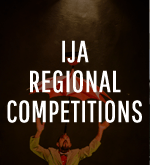 DeMott (1907-1986) was a well-known American juggler who was an early IJA member and helped organize the 1949 IJA Convention. 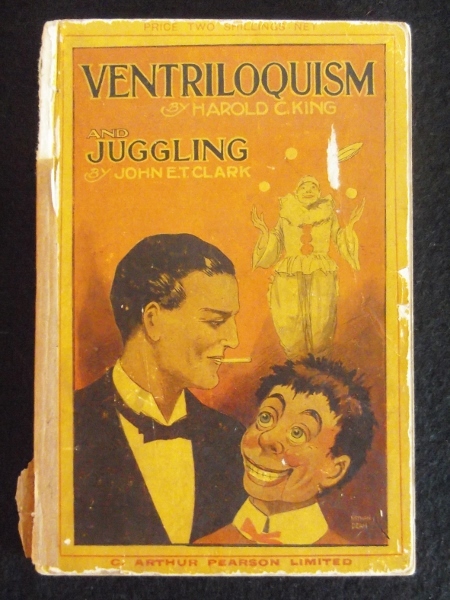 He was also a well known collector of juggling memorabilia and props. 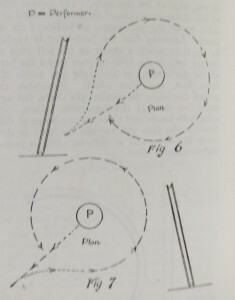 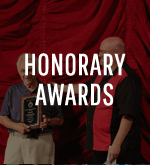 He states in the introduction of the book that the book contains instructions on learning and performing all that DeMott had learned in his 37 year performing career. 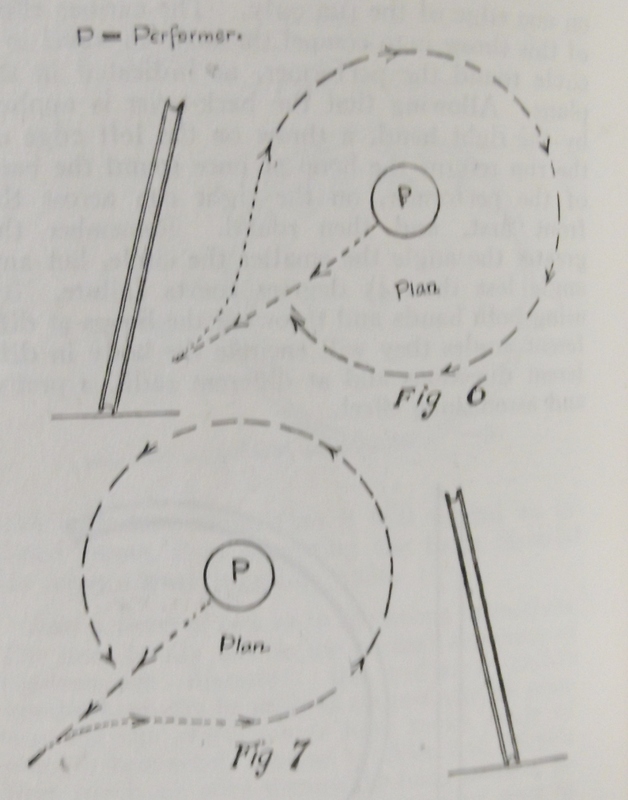 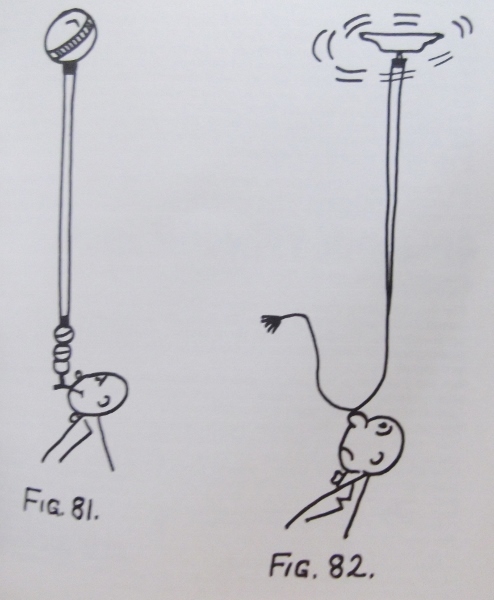 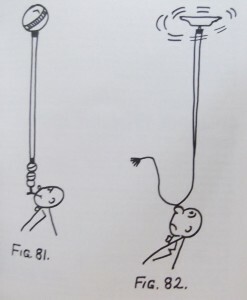 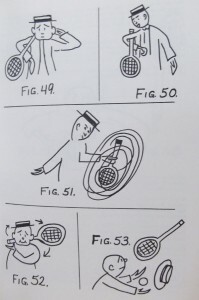 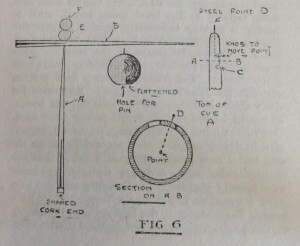 The book begins with instructions on ball juggling and hat juggling and then includes complete routines for two balls and a tube followed by two balls and a tennis racket. 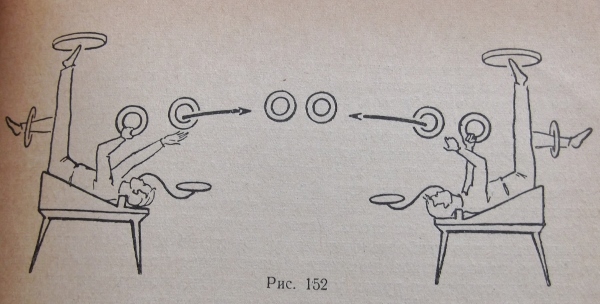 Next comes sections on rug spinning and hat spinning. 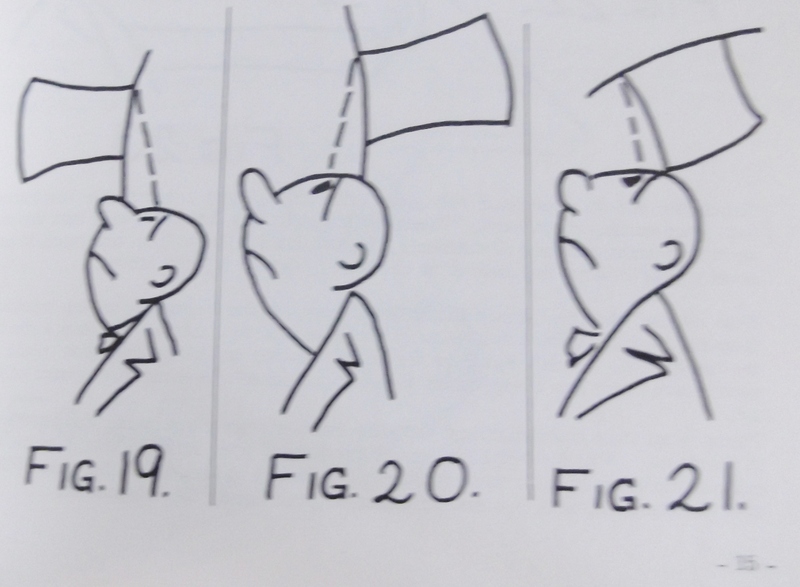 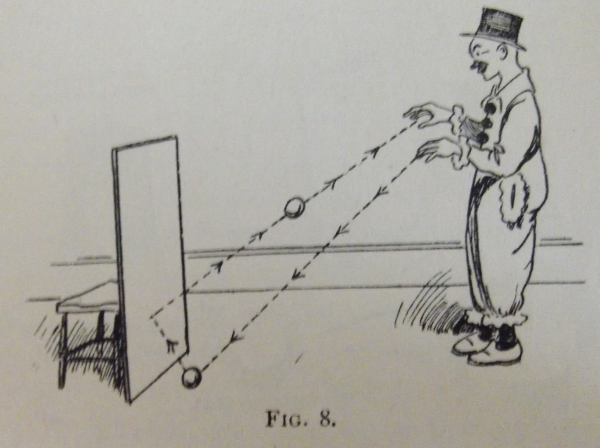 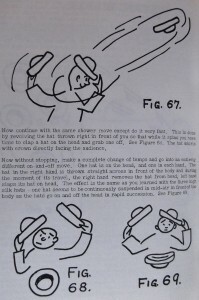 I’ve noticed that many old juggling books include chapters on the art of hat spinning, which is very rarely seen today. 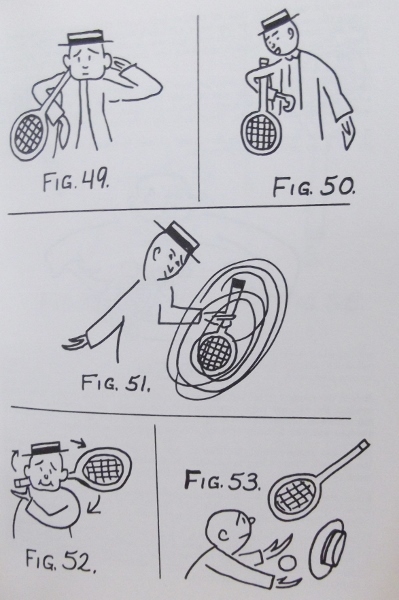 Next comes chapters on straw hat juggling and juggling with plates, which DeMott refers to as dishes. 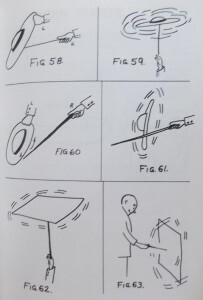 The instruction is quite in depth throughout the book and truly does share George’s entire act. 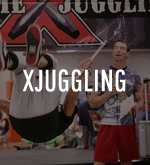 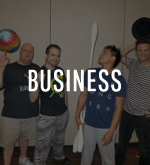 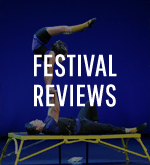 Next comes a variety of interesting balancing tricks and a discussion of knife juggling. 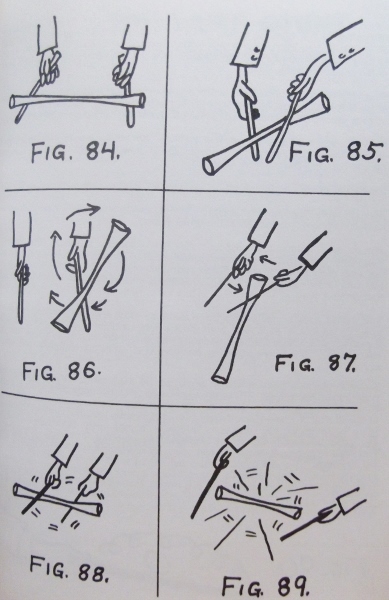 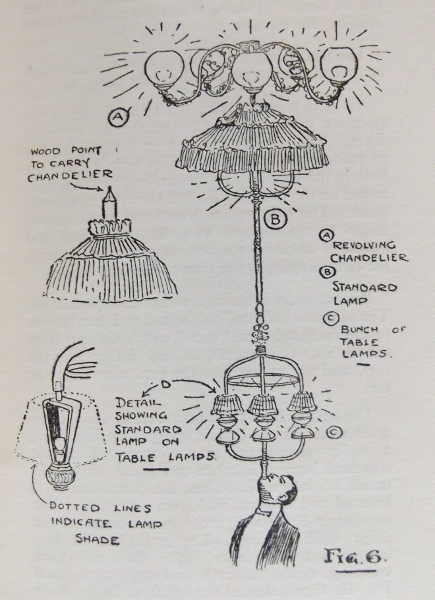 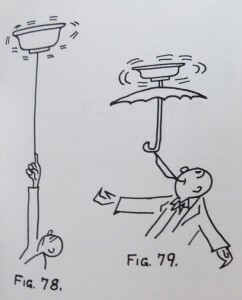 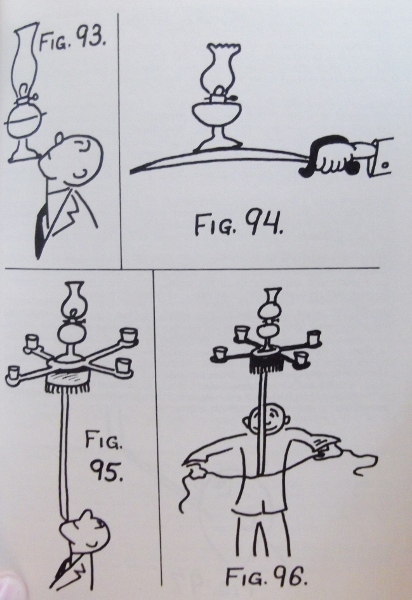 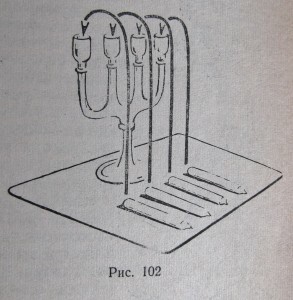 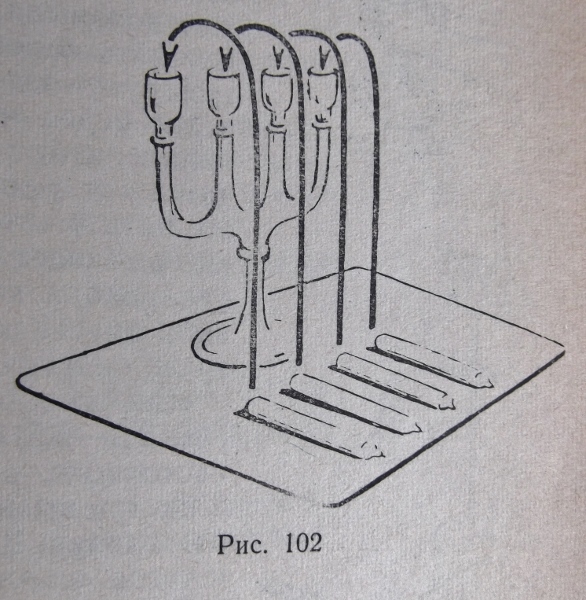 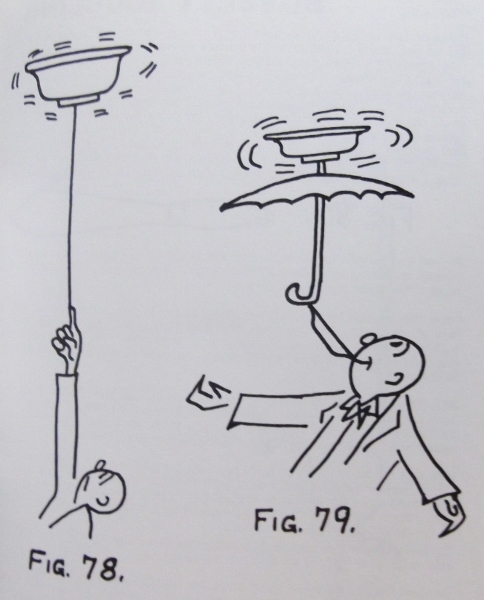 A chapter on devil sticks is next, followed by an entire chapter devoted to what DeMott called “The Lamp Stunt,” a complicated series of balances of a lit lamp which is explained in detail. Long chapters on cigar boxes and clubs juggling are next. 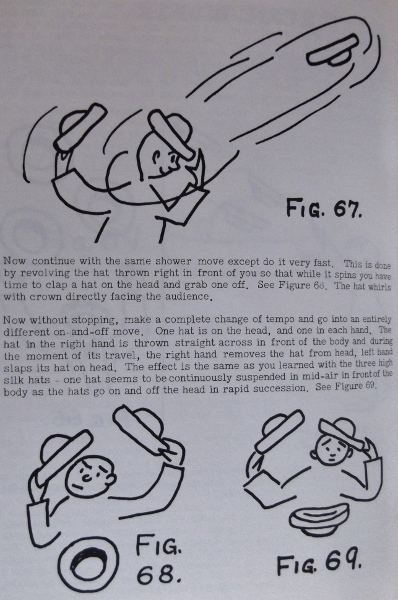 Finally he closes out the book with discussions of closing stunts and practical advice. 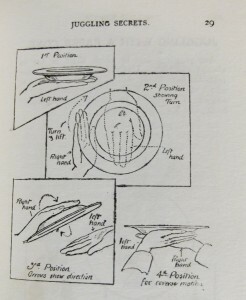 When I first received this book, I was very pleasantly surprised at the quality of the instruction and uniqueness of some of the tricks. It’s one of my favorite old juggling books. 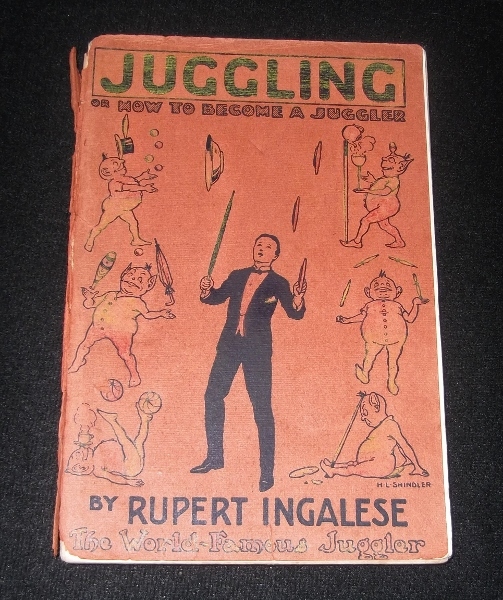 Rupert Ingalese (born Paul Wingrave) was a British juggler in the early part of the twentieth century. 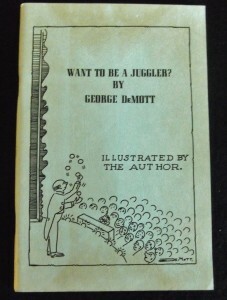 In 1921, Juggling (Or How To Become A Juggler) was published by Gaskarth Press of London. 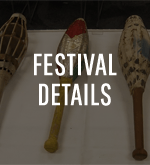 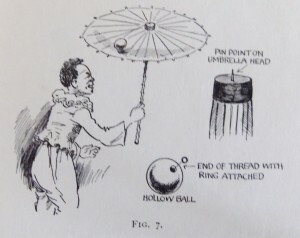 The book contains 68 pages of instruction on juggling with balls, plates, bottles, and clubs, as well discussions on balancing and using hats, umbrellas, and other odd objects. 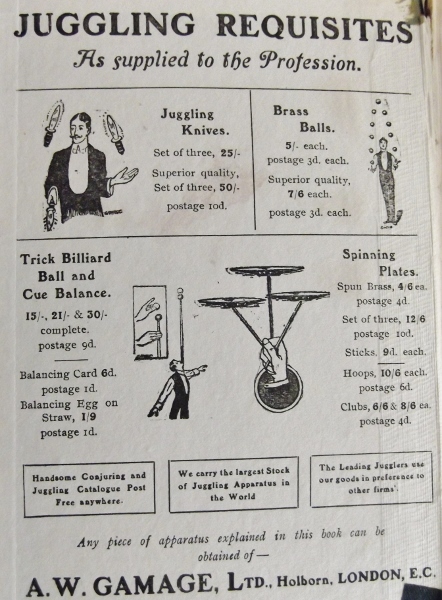 It also contains five pages of advertisements for juggling goods for sale. I find this section quite interesting. 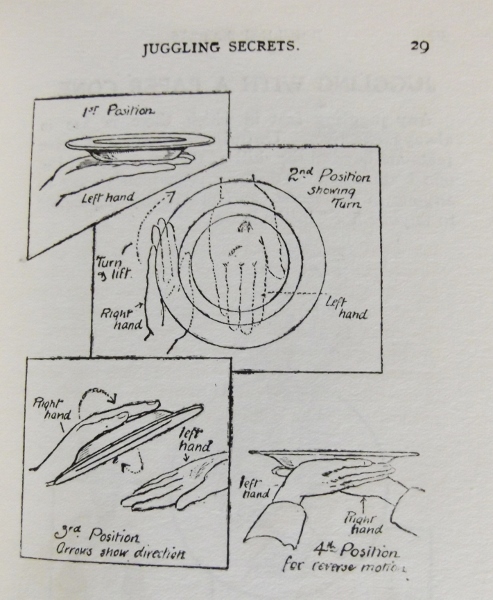 While hard copies of this book are quite rare, the entire book has been digitized and can be viewed online by clicking here. 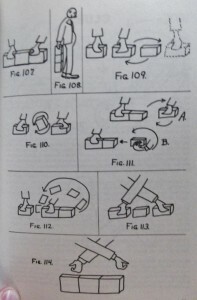 I highly recommend looking through this. 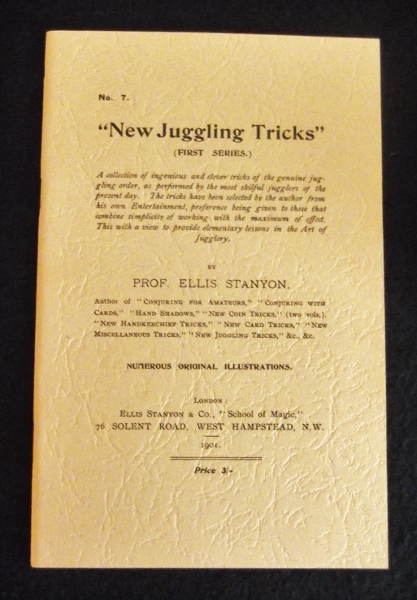 Published in 1901, New Juggling Tricks by Professor Ellis Stanyon is one of oldest juggling instruction books or manuals. 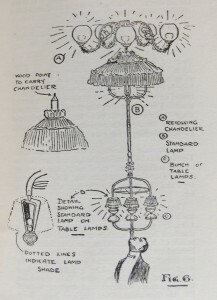 This 24 page booklet was published by the author, a resident of the Camden area of London. 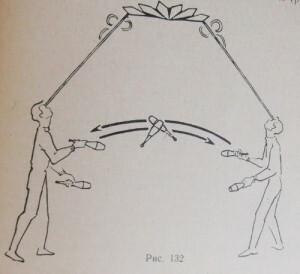 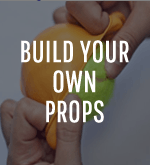 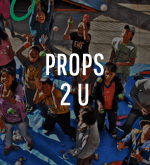 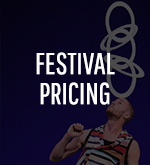 It provides instruction on ball juggling, plate spinning, hat spinning, parasol and ring, balancing, coin spinning, a bottle and plate routine, and a couple of gimmicked balance tricks. This booklet is also online and can be viewed by clicking here. 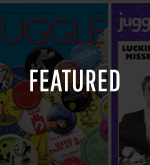 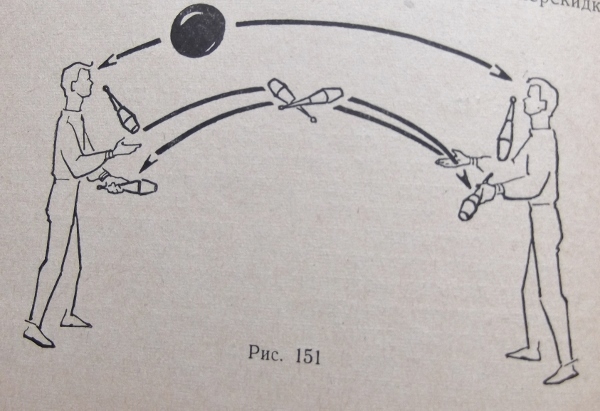 The six books discussed in this article are just a small sampling of some of the rare instructional juggling books that have been published, but I believe they are some of the more interesting ones in my collection. The next article will discuss some of the historical, biographical, and routine books in my collection.